Debbie has names this quilt “Stars of Honor”. It is a lap quilt meant to be 54 x 70. 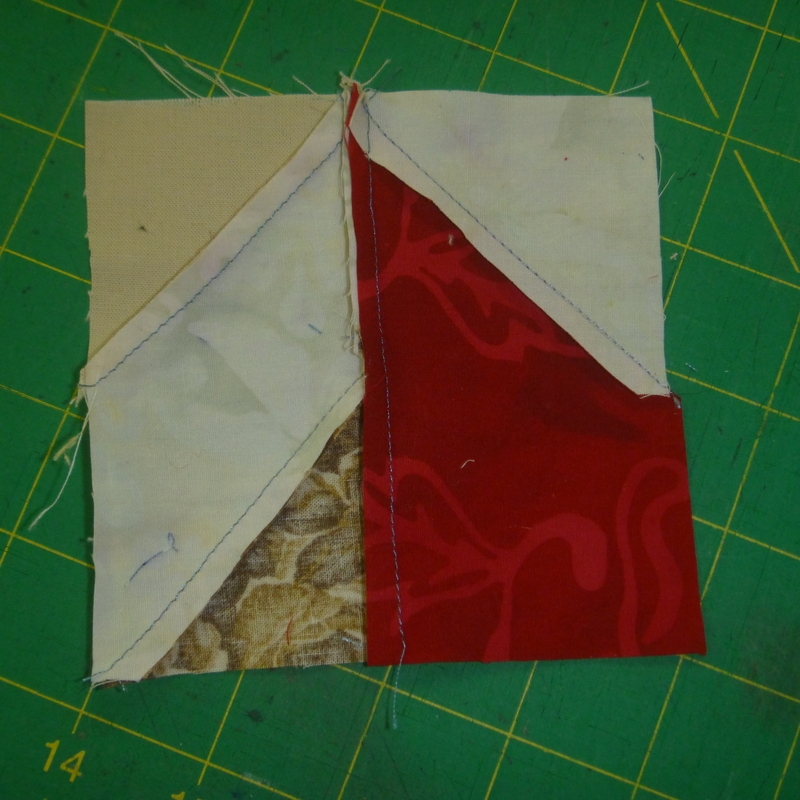 First I drew a diagonal line across the lighter piece of fabric. I did this to all the pieces before I started sewing. 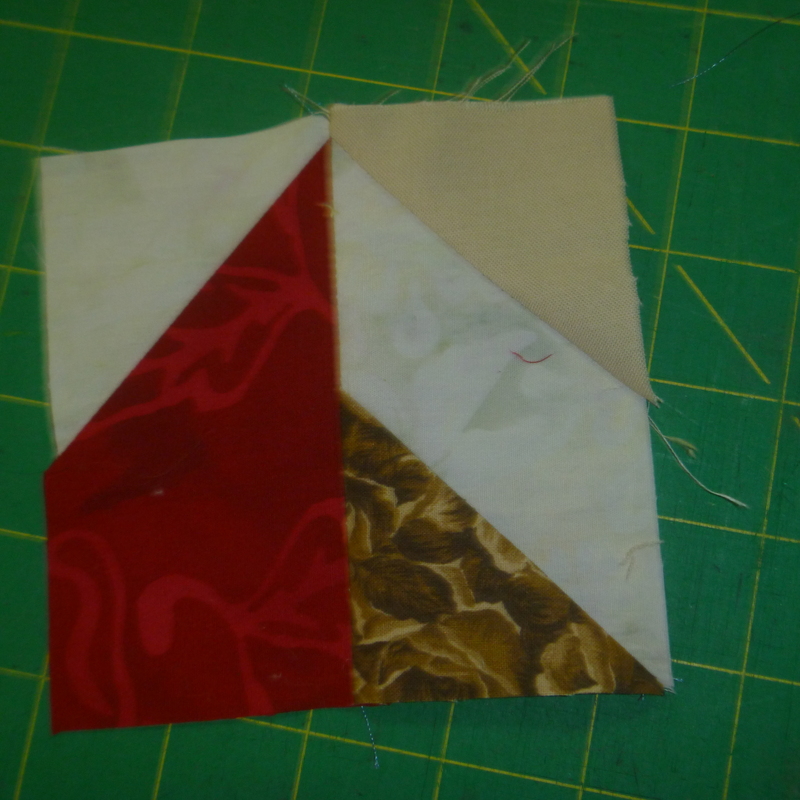 Then I sewed right beside that line, checked to make sure that when I folded it up, it would match the red piece. 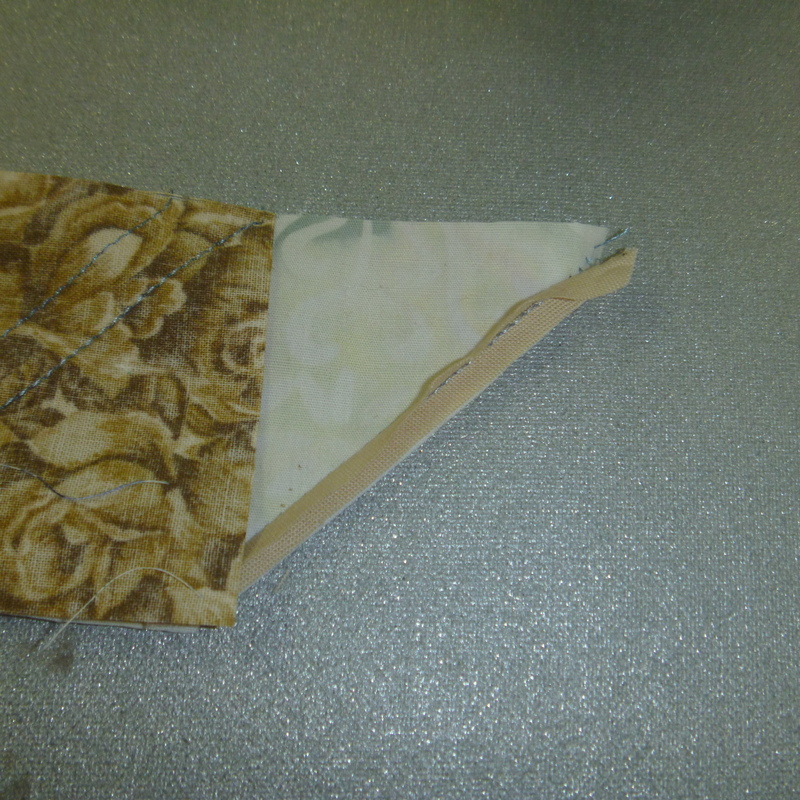 Then sewed it again 3/8 – 1/2″ farther away from the piece I need. I then cut between the two lines. 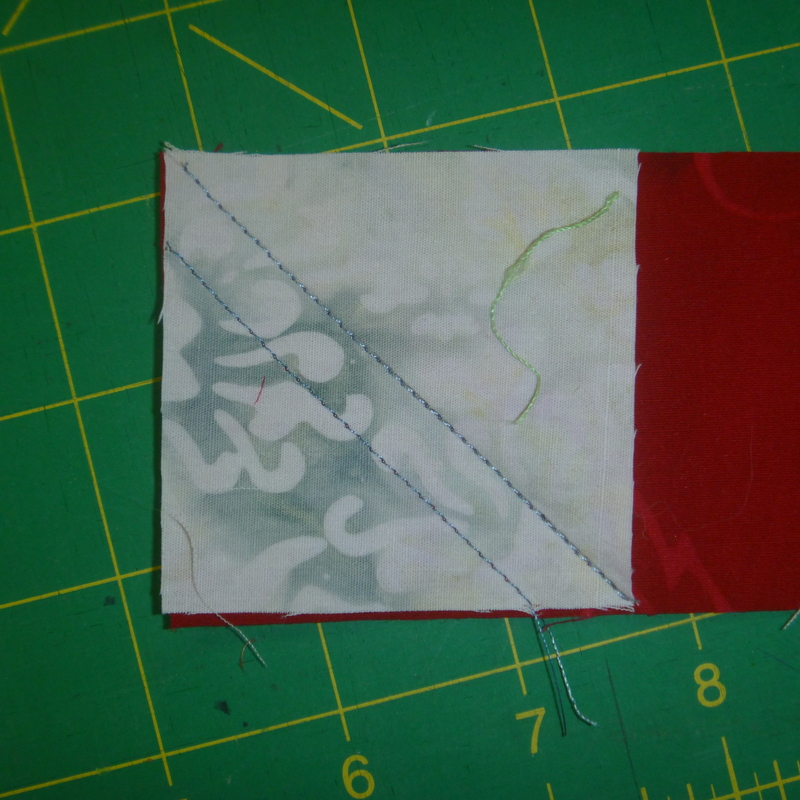 In this way, I have the little half squares for another project. 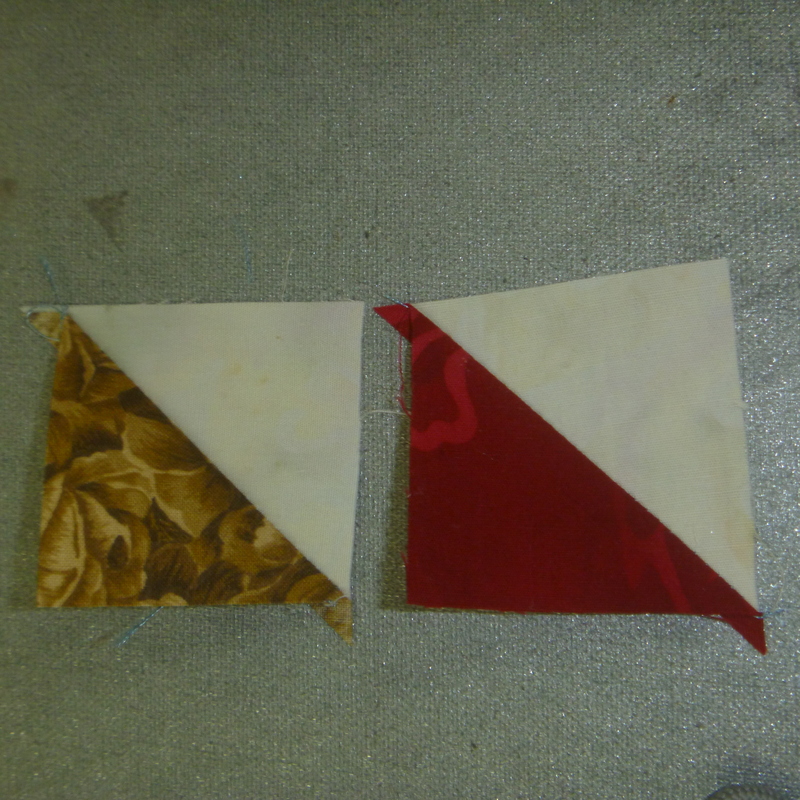 Had I not sewn them first, they probably would wind up tossed as the little pieces on bias are difficult to sew. 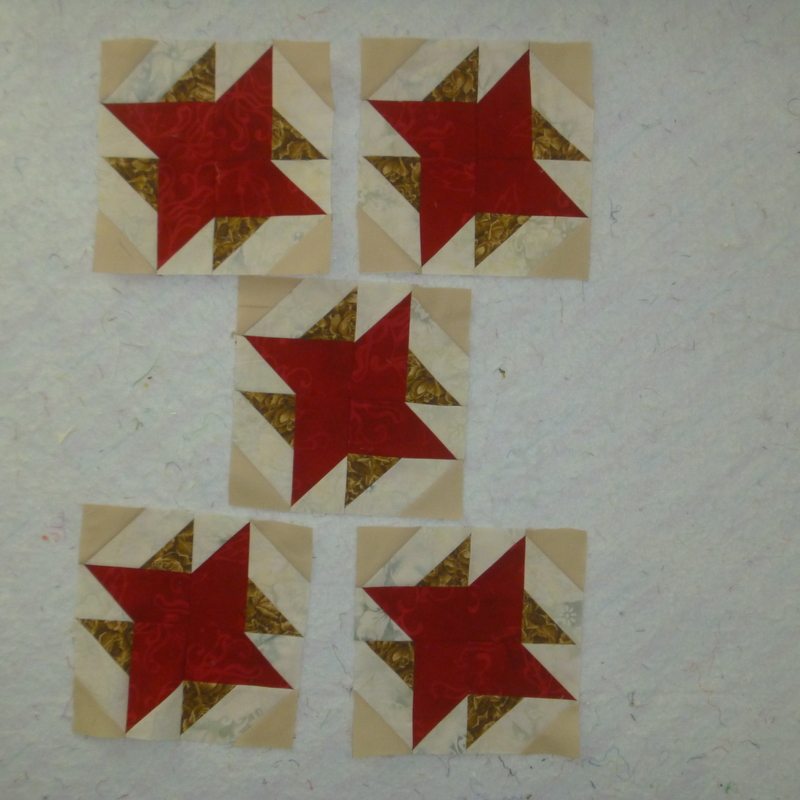 These little half squares are about 7/8″ trimmed. 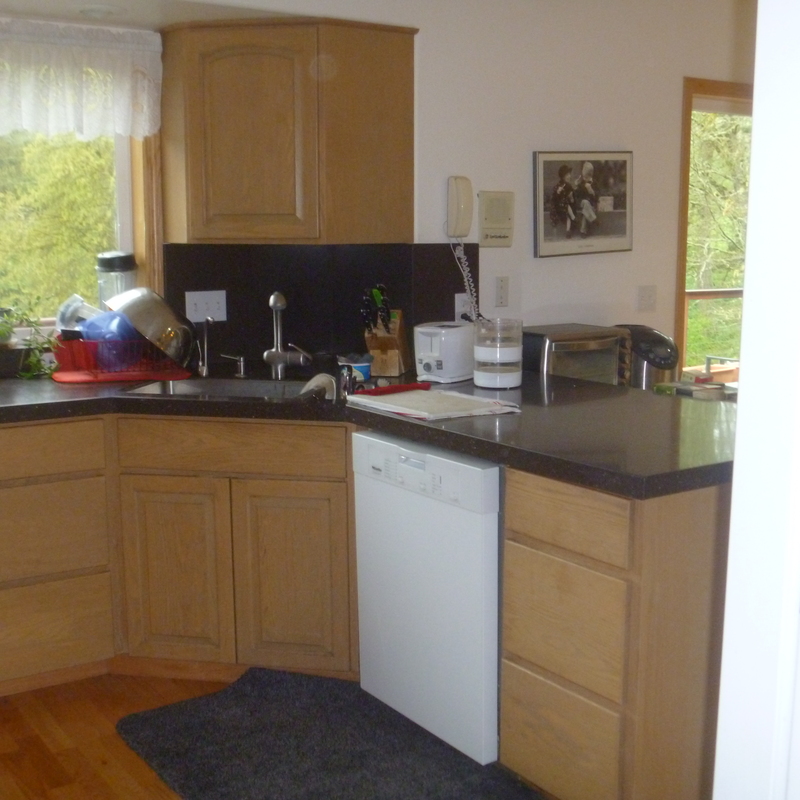 and will finish at just under 1/2″ – very small. I then repeated this on the other end of the brown pieces. Oh, look!. A mistake as one is reversed. And look again, I mistakenly cut off the triangle on this one. It happens. I just cut new pieces and kept going. 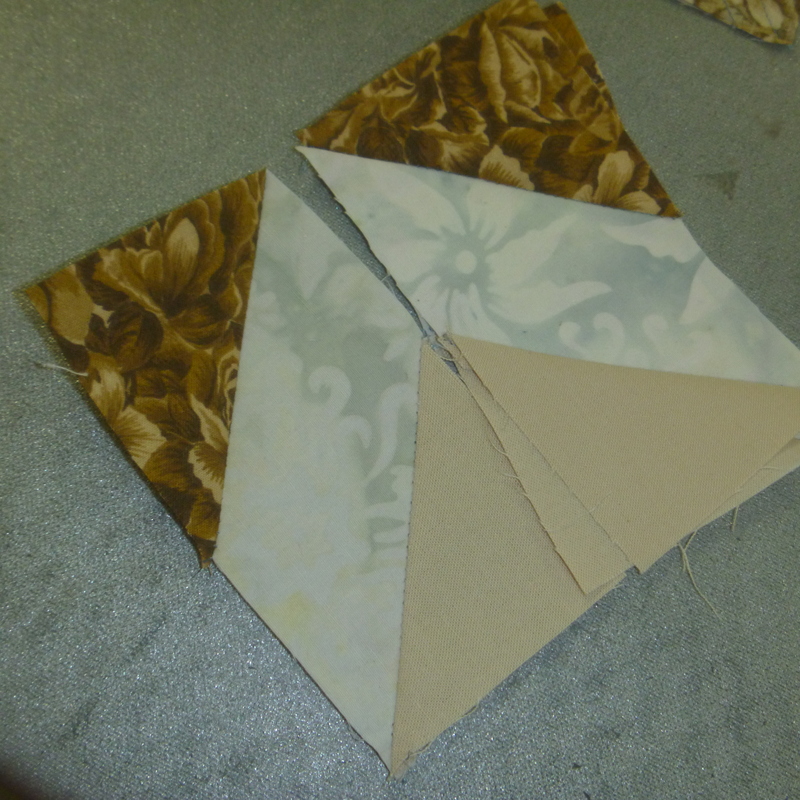 Two of these pieces are sewn together and then two of those pieces are again sewn together. 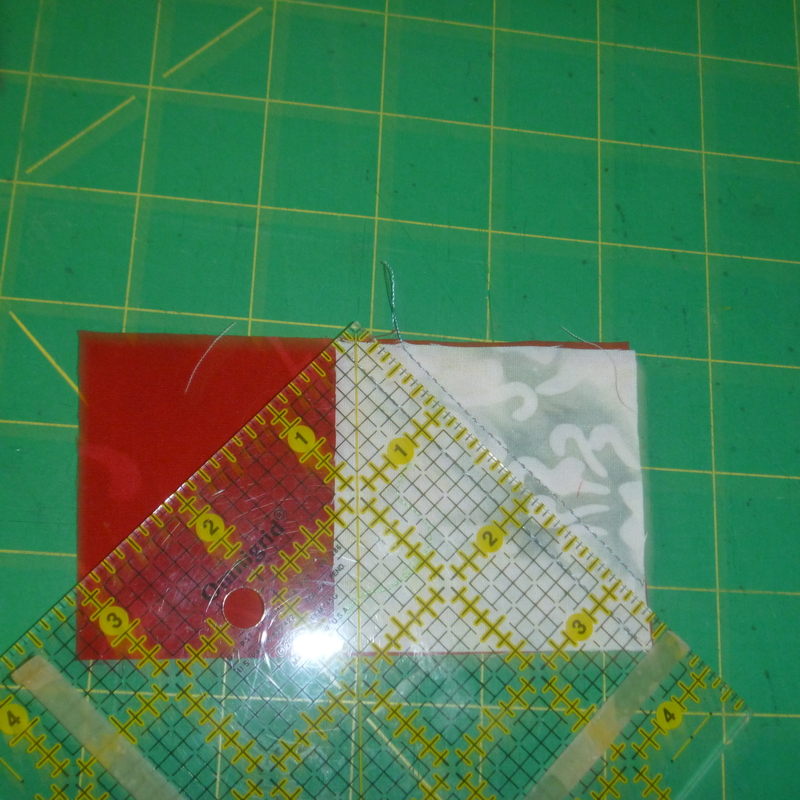 Here is the finished block – well actually 5 of this block are required for the quilt. See how the one quarter is turned and then again. After this, it was cleaning time again. 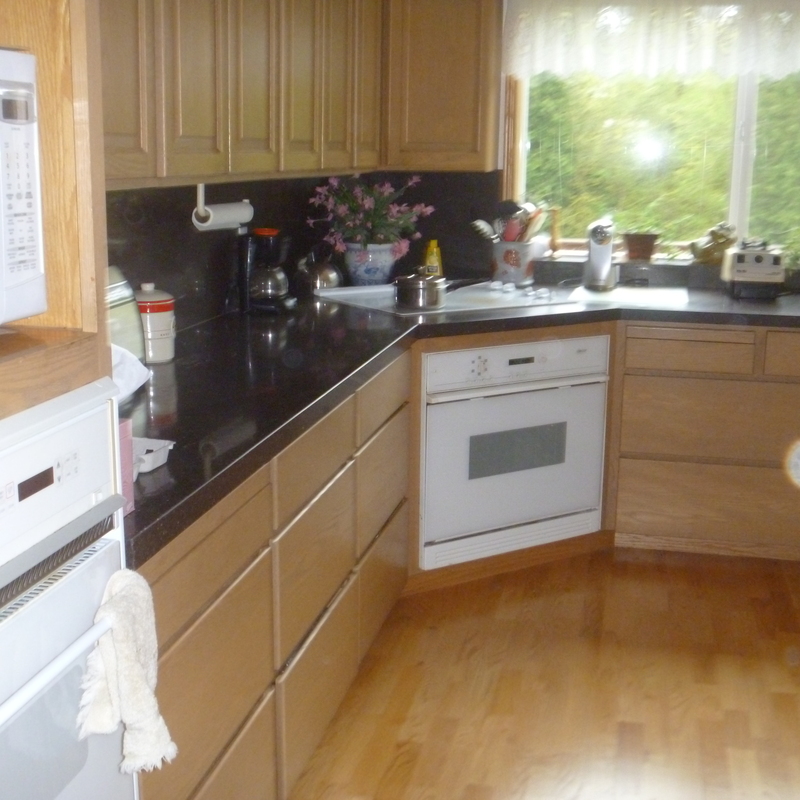 Now the kitchen is nearly too clean to use.